This beautifully designed Bistro Coffee Pot by Nick Munro ($110) takes its inspiration from bistro coffee pots Turkey and Paris. 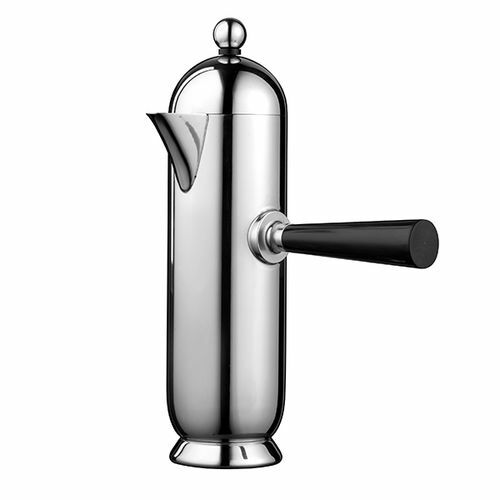 The hand polished 18/10 stainless steel pot is supplied with both a 'french press' mechanism as well as an alternative 'final' knob for fully flexible coffee making and drinking. Not cheap, but certainly unique and stylish and would look perfectly at home in an Airstream, wouldn't it?